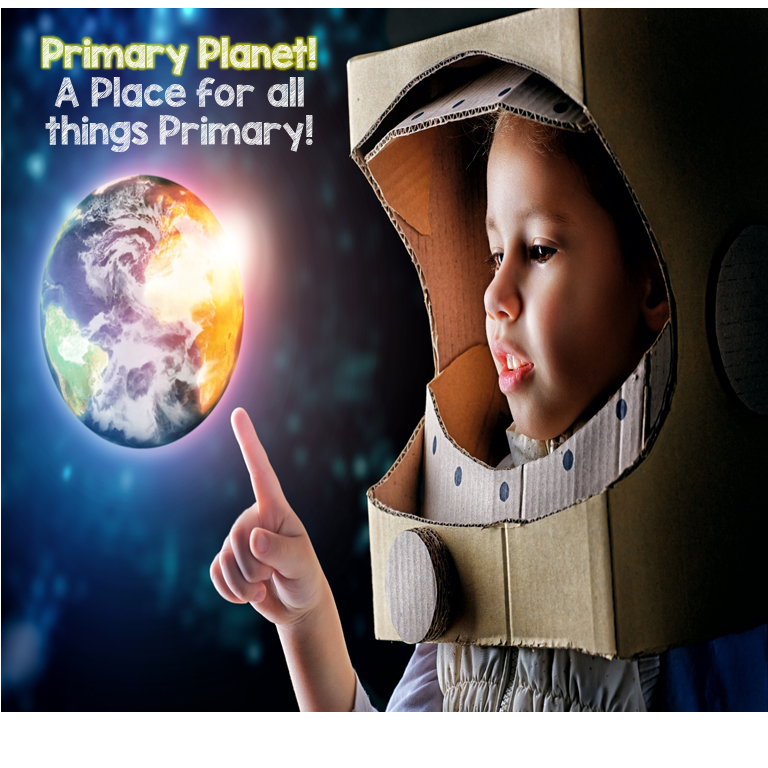 Making Mental Images | Primary Planet! I usually do this unit at Christmas time because the kiddos can make some wonderful mental images about Christmas! After Christmas we review, then work on wrapping it up to move on to a different reading strategy. I wanted to wrap it up this year with something fun! So rarely do we have time to do anything crafty any more, so the kiddos were thrilled! 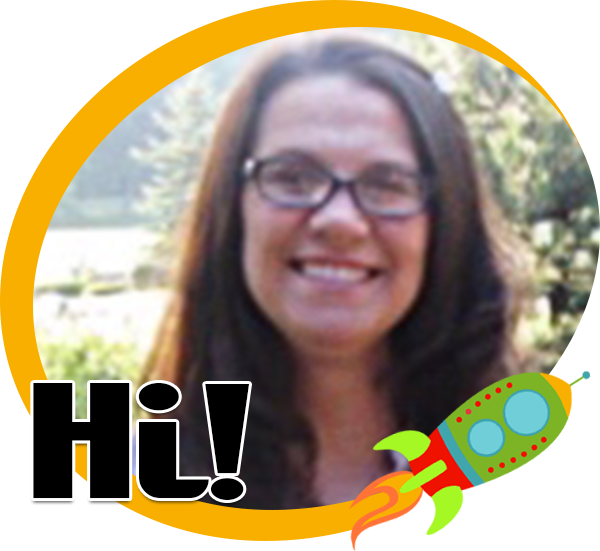 This was so easy to do, I am almost embarrassed to post about it (almost...). 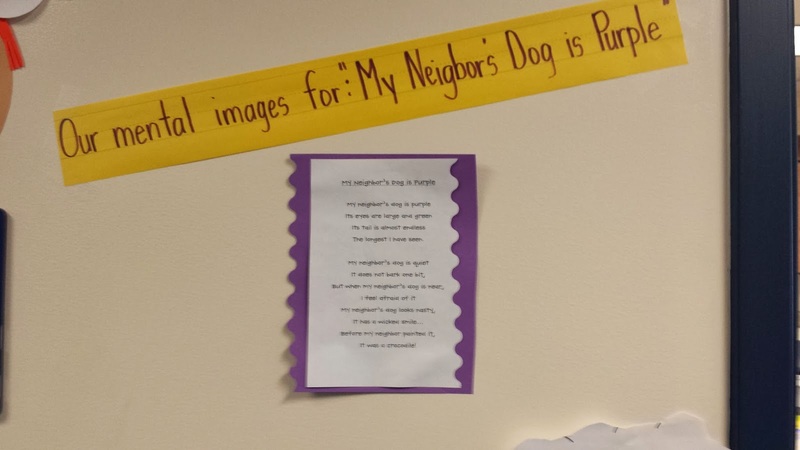 First, I read the poem: "My Neighbor's Dog is Purple" by Jack Pretlusky. The kiddos closed their eyes while I was reading to help them make their "Mind Movie". 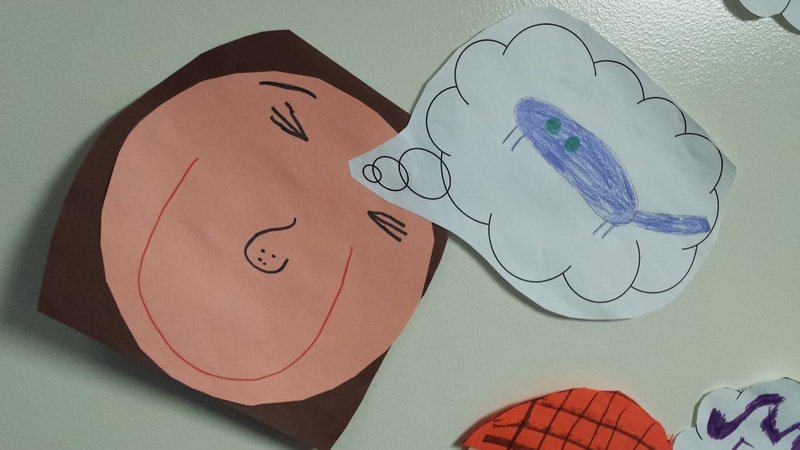 Then, I passed out a large "thought bubble" that I made in publisher to each kiddo. 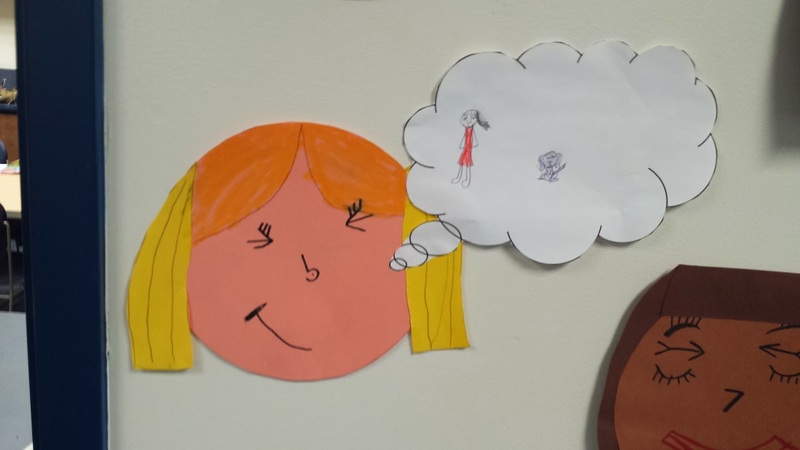 The kiddos drew their mental images in their thought bubble while I read the poem again. Next, they each chose a piece of skin toned construction paper (I provided a lot of different choices, and let them choose). 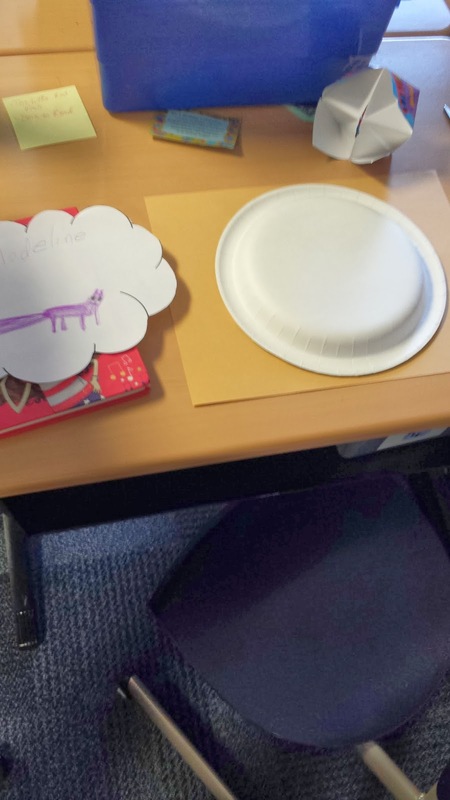 They used paper plates to trace a circle and cut it out for their faces. Using the paper plate was optional, a few kiddos decided to make theirs more "face shaped". 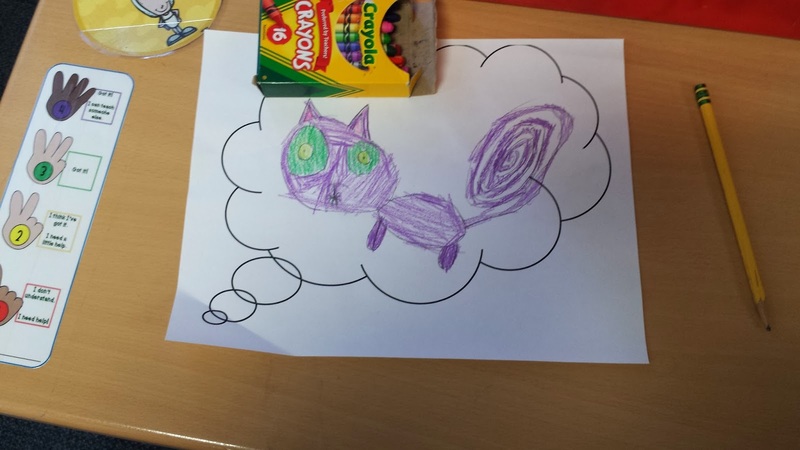 I showed them a few ways they could draw their eyes to make them look closed. Of course many of them had their own ideas, those creative little geniuses! They used scraps from the scrap box to make their hair (and some an accessory or two). Then, they cut out their thought bubble and glued it to the top part of their construction paper face! 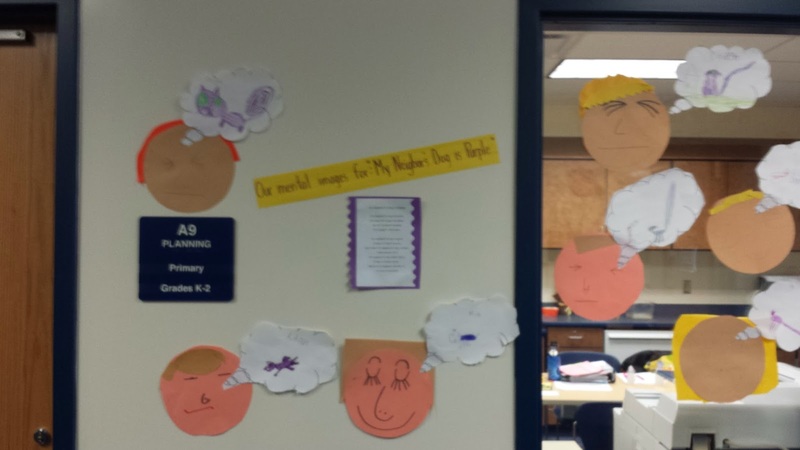 We put them out in the hallway with the poem! It has been a hit! You still have a few more hours to pick up some great freebies in the January Free-For-All going on right now on Facebook! Hope to see you there! Thank you for posting this. I have to do my first poetry unit and needed more lessons. This will be perfect for an activity. Thanks! You're welcome Alicia! Glad you found it useful. Thanks so much for stopping by. I am so glad to see 2nd grade teachers working on mental images. Love it! So many of my 4th graders struggle with reading and comprehension because they don't have a "little movie playing in their head" as I tell them! We talk about that too! They are so cute when they all have their eyes closed and are thinking really hard!